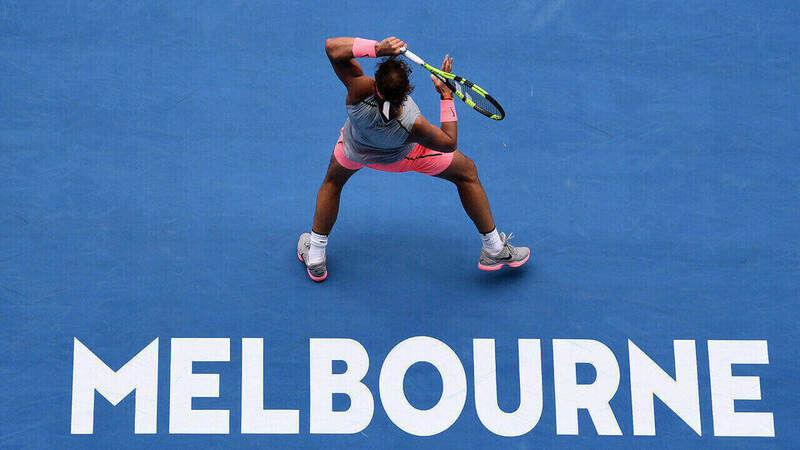 Barty’s breakthrough, Roger’s shock exit, fairytale runs and big guns firing – the first week of the 2019 Australian Open had it all! Ashleigh Barty has lived up to the hype created by her big finish to 2018 and sizzling start to 2019. The 22-year-old Queenslander is the first Aussie to reach an Australian Open quarter-final in a decade. A $26 pre-tournament chance, Barty has come into $9 to be the first local to triumph in Melbourne since 1978. Barty’s three-set win over Maria Sharapova was arguably the finest of her career. But she is a $2.40 outsider ahead of her Wednesday night quarter-final against Petra Kvitova. Ash Barty has claimed the biggest win of her grand slam career, beating Maria Sharapova 4-6 6-1 6-4 to reach the #AusOpen quarter finals. And while Bernard Tomic’s and Nick Kryrgios’ histrionics dominated news cycles for days after their first-round exits, the new breed of men’s tennis delighted home fans. What teen sensation Alex de Minaur and wildcards Alex Bolt and Alexei Popyrin lacked in first-name diversity, they made up for in tenacity as they all reached the third round. De Minaur was $67 to win the Australian Open pre-tournament – expect the wunderkind’s price to come in significantly for future slams. The boilovers were scarce in the opening two rounds, but a host of big guns have been bundled out in recent days. Just three of the top 13 men’s seeds and four of the top 14 women’s seeds remain at the quarter-final stages. Stefanos Tsitsipas pulled off the upset of the tournament so far, halting 2017-18 champ Roger Federer in the fourth round. The 20-year-old Greek has shortened to $13 to win the Australian Open. Tsitsipas is virtually even-money for his quarter-final with Roberto Bautista Agut. The unseeded Frances Tiafoe has been the other surprise packet. He eliminated fifth seed Kevin Anderson and Grigor Dimitrov on his way to the quarters. But Tiafoe remains a $67 longshot to win it all – and $11.30 to win his quarter against Rafael Nadal. Greek sensation Stefanos Tsitsipas has done what most thought was impossible and taken down Swiss legend Roger Federer in an epic four-set encounter. Unseeded pair Anastasia Pavlyuchenkova and Danielle Collins won their way through to an unlikely quarter-final showdown. Pavlyuchenkova took down top-10 players Kiki Bertens and Sloane Stephens. Collins has beaten three top-20 seeds – including a 6-0 6-2 fourth-round demolition of world No.2 Angelique Kerber. Pavlyuchenkova ($17) and Collins ($21) remain the outsiders in the women’s draw. World No.1 Novak Djokovic has eased slightly from his skinny pre-tournament price of $1.75 to $1.91 to claim his seventh Australian Open. That mild cool-off is not a reflection of his performances, however, which have been sensational. The reason is Rafael Nadal’s electrifying form. The Spanish legend has come in from $9 to $2.25. Nadal has not dropped a set in four matches. Djokovic has lost just two sets despite a tough draw. Nadal is a measly $1.04 to win his quarter-final against Tiafoe. Djokovic is only $1.10 to account for Kei Nishikori. A blockbuster final between the all-time greats feels inevitable – and what a classic it promises to be. Everyone: "this is a changing of the guard. a passing of the torch. an end of an era." The pre-tournament favourite at $5, Serena Williams could hardly have been more impressive in week one. The 16th seed lost just a total of just nine games in her first three matches, then outlasted world No.1 Simona Halep 6-1 4-6 6-4 in the quarters. Williams is now $2.25 to win an eighth Australian Open and a $1.34 favourite to win her quarter against Karolina Plikova. A mouth-watering semi-final with 2018 US Open final opponent Naomi Osaka ($6.50 to win the tournament) or Elina Svitolina ($10) looms for the G.O.A.T.